Contest Entries Due Feb. 3! 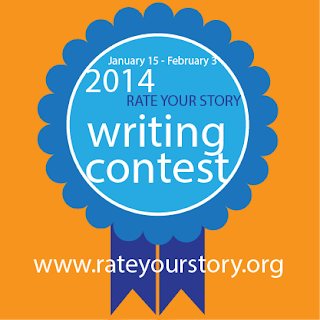 If you're planning to enter the Rate Your Story 2014 Writing Contest, all entries are due no later than 11:59 Eastern time on Monday, February 3, 2014. Don't forget that there are three categories: Picture Book, Novel/Novella, and Everything Else. Whatever you write, there's a chance for it to win! Please visit the Writing Contest page for important submission guidelines links to checkout ($5 per entry if you're not a member, or if you're a member who wants to submit more than your one or two free manuscripts). Happy Writing Wednesday—we'll be back with more articles about publishing and tips on the craft of writing beginning next week. What makes someone a literary legend? Does he have to live long enough to see his work become popular? Outlive his critics? For many writers in the past, a true fan base only developed posthumously. Not so with Ray Bradbury. Novels, short stories, poetry, plays—his body of work is loved the world over. But once upon a time, he was just a struggling young writer in love with the craft. He wrote a short story every week, polished it up, and submitted it to a magazine. Rejection letters flooded in, mainly due to his prolific submissions. But there were also acceptances along the way, and they inspired Bradbury to keep doing what he loved: telling stories as only he could. A year later, a reader commented on my blog that I seemed to be announcing a short story publication every month. I responded by saying that compared to Bradbury, I was nowhere near as prolific, but that someday I hoped to follow in his footsteps. “Someday” turned out to be 2011. It was time to take the proverbial bull by the horns and see if I could do it: write and submit a new story every week. And since misery and joy both love company, I decided to invite fellow writers Simon Kewin and Stephen V. Ramey along for the ride. Thus, Write1Sub1 was born. Now heading into our 4th year with hundreds of participants, we’re still going strong, and I can honestly say I’ve grown as a writer because of this challenge. W1S1 has forced me to take my writing seriously and carve out a chunk of time for it every day. It’s also taught me how to deal with a deadline—how to write fast and revise slow, and to get my work off the hard drive and into an editor’s inbox. Along the way, I’ve created some of my best work, stories that wouldn’t exist without this challenge and our supportive community of writers. 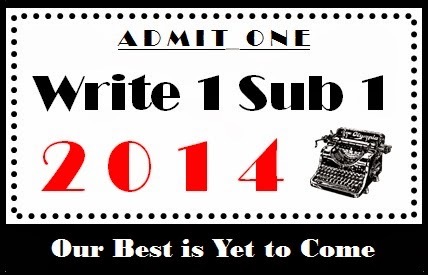 It's never too late to join, so stop by Write1Sub1 today and sign up for either our weekly or monthly participation level. You'll be glad you did! Thank you, Mr. Bradbury, for inspiring us. You said it could be done, and you were right. Just a quick note to remind you that our contest opens TOMORROW, and we've updated the Writing Contest page on our website. If this is the first time you're learning about our writing contest, zip on over to the contest page and check out the submission guidelines. We have three categories that should cover pretty much any genre of writing. 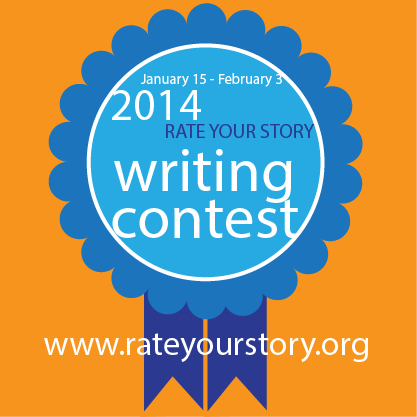 A reminder: Our Rate Your Story Writing Contest opens next week Wednesday (Jan. 15, 2014) to submissions! Read more about our contest and the manuscript and submission guidelines here. Good luck! 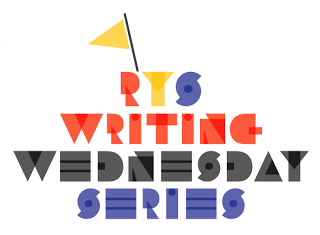 And now, a revival of our Writing Wednesday series, which features the full interview! When Chuck Sambuchino, author of the Children's Writer's and Illustrator's Guides and editor behind the Guide to Literary Agents blog recently posted about a NEW picture book imprint, our ears perked up. We know how many of our users write for children! Grove Press, and discovered how very, very new it was. We wanted more information. And now, we share that information with you! 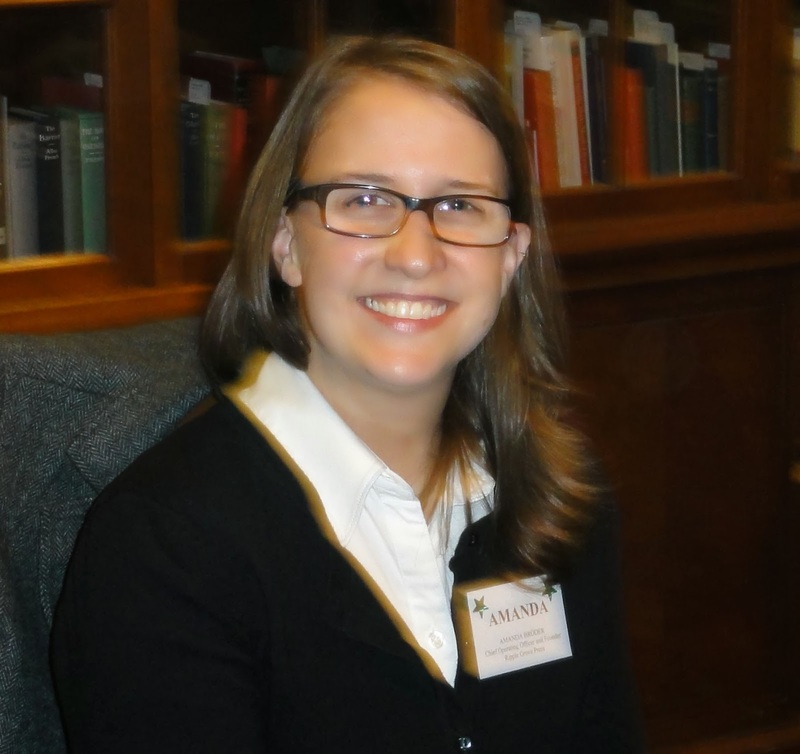 Please welcome Amanda Broder, editor at Ripple Grove Press. RYS: What's the story behind Ripple Grove? When did it start? Why did it start? Ms. Broder: My husband, Rob, and I started Ripple Grove Press in January 2013. We've always wanted to start our own business and went through years of ideas that we just didn't feel passionate about. One day in 2012, Rob came home with the idea to start our own children's book publishing company. Rob was in early childhood education once upon a time and worked to develop a board game presented to Hasbro and started a children's magazine in the San Francisco area. I have a background in art. And of course, we both love children's books. After reading every book we could get our hands on about publishing and publishing for children, researching publishing websites and blogs, and talking with people we know in the industry, we decided to jump in! It was the first and only idea we felt passionate about. RYS: You're website is pretty vague as to who you are. Who is Ripple Grove? (Editors/Staff)? Ms. Broder: As of right now, my husband, Rob, and I are Ripple Grove Press! As with other small businesses we have to take on many roles. That means we are the editors, art directors, designers, marketing team, accountants, and secretarial staff, and on and on. However, one job we believe in hiring free-lancers for is copy editing! Nothing is worse than a poorly edited book. RYS: (We agree on that last point!) What are some of your favorite children's books or authors (past and present)? Ms. Broder: We love the classics like Maurice Sendak, Ruth Krauss, and Bernard Waber. For newer authors we love Philip and Erin Stead's A Sick Day for Amos McGee, Julie Fogliano and Erin Stead's If You Want to See a Whale, and Mac Barnett and Jon Klassen's Extra Yarn. Rob's favorite book of 2013 is Mark Pett's The Boy and The Airplane and mine is Aaron Becker's Journey. Ms. Broder: We are looking for stories. We love a story for the sake of story, something that does not push a message at the reader. We believe that picture books are a child's first introduction to literature, art, and storytelling and we want to provide the best of those. We currently have two books under contract for 2014 and one, so far, for 2015. Both of our books for 2014 are by the same author with different illustrators. All are by first time authors. RYS: What AREN'T you looking to acquire? Ms. Broder: We are not looking for nonfiction, early reader chapter books, or young adult. Please no religious or holiday themed stories. We have received many great submissions for board books and while we believe strongly in the value of board books we're not quite ready to dive into them. Right now we're focusing on establishing ourselves and working on story-driven books. RYS: One or two quick tips for authors who may want to submit to you? Ms. Broder: Please read the submission guidelines. And read children's books! Read everything you can! RYS: Submission guidelines-anything more specific than what's on your site? Prefer email or snail mail? Ms. Broder: We have no preference; we accept either way. RYS: (Disclaimer: I asked Amanda to make up one more question and answer it.) Where does the name Ripple Grove come from? Ms. Broder: Back in Rob's preschool teacher days he used to tell his kids a story about a magical place with fairies and trolls and magical trees with blue leaves called Ripple Grove. When we were thinking of a name for our company it was the perfect fit. It encompasses the feelings of natural wonder we want to inspire in our books. RYS: Great! Thank you! I'm sure you can expect some submissions from our fabulous Rate Your Story members who feel that your house is a good fit for their work. BIOGRAPHY: Rob and Amanda Broder started Ripple Grove Press in 2013. It's their mission to make timeless picture books that inspire a love of stories in children and adults. They want their stories to be the last ones read before bedtime. When they aren't making books, they like to spend time at home with their 3-year old daughter and little dog.